Hi. Bone Jaw. What? Are you dumb. 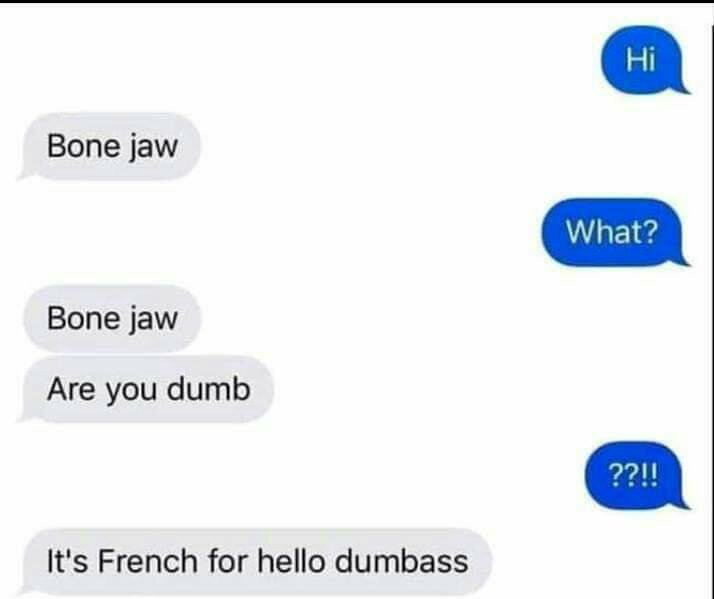 It's French for hello.